Every year, beginning with The Hub’s birthday in October, is what I fondly call “birthday season”, all the way up to the end of the year. Between October 1st and Dec 31st we celebrate 10 birthdays. This means we’re eating out quite a bit and it’s the perfect occasion to try out new hot spots or share our favourite restaurants in the city with our friends and family. 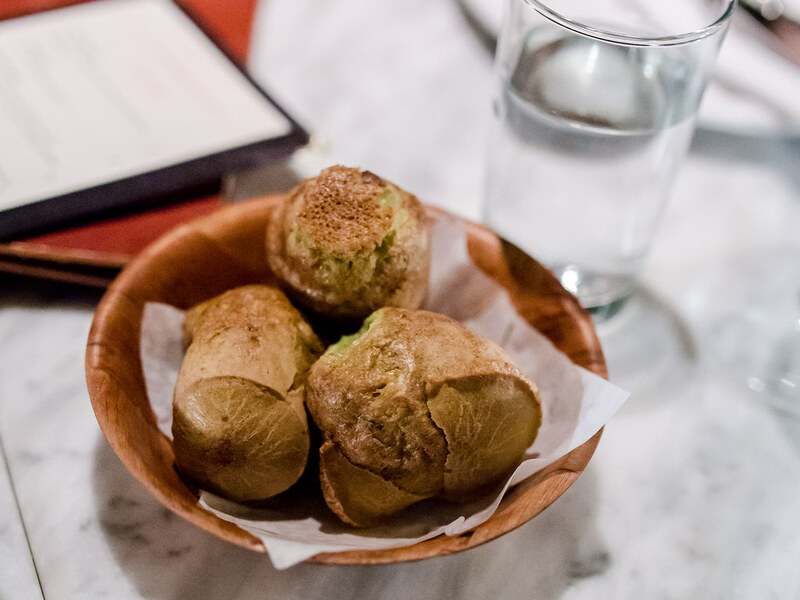 Branca is one restaurant that The Hubs visited without me and has been raving about ever since. They are located fairly west in the city and a birthday dinner was an excellent reason for us to make the trek out, dragging one of our best friends along. 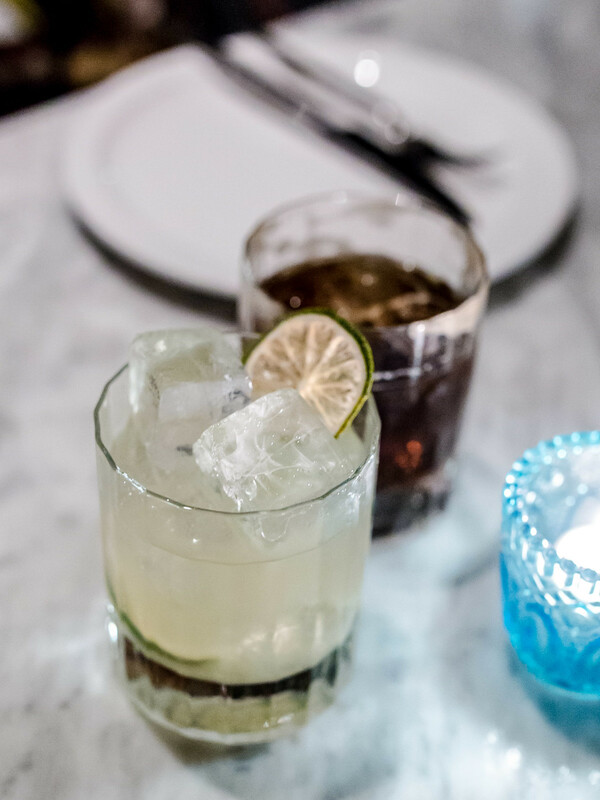 Atmosphere: Branca was a nondescript restaurant located in the Dundas West neighbourhood with a menu inspired by Argentinian cuisine. The 36 seat dining room was super cozy and intimate with dim lighting and plush benches. One wall was exposed brick, while the other three were decorated with a dark wallpaper of lush tropical foliage. 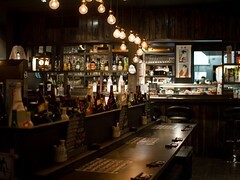 It was a great spot for catching up and celebrating with a delicious bottle of wine and seriously mouth watering food. 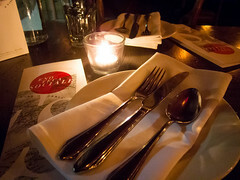 Service: I truly enjoyed the service at Branca during our dinner. 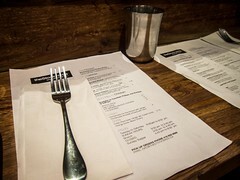 Our server was friendly and checked in on us without hovering, we felt well taken care of through every course. He also recommended an excellent wine for us based on our price range and the food we had ordered, so bonus points there. Each dish arrived with a brief introduction. 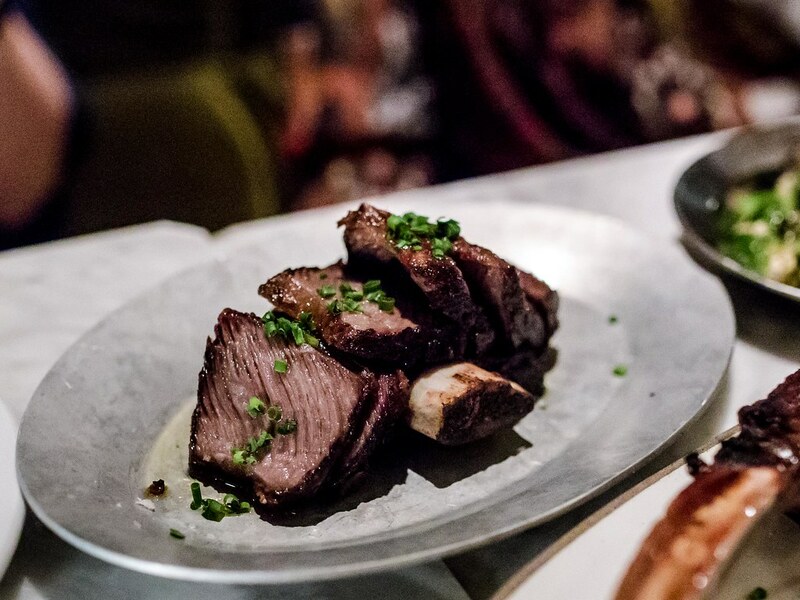 Both the tomahawk steak and fire roasted short rib were served pre-sliced. Food: Reading through the menu, we knew right away we were getting the 30 day dry aged bone-in ribeye. With 48 oz of steak as our main, the rest of our order was a matter of balancing between dishes we really wanted to try and not ordering too much food (my eyes are always larger than my stomach). 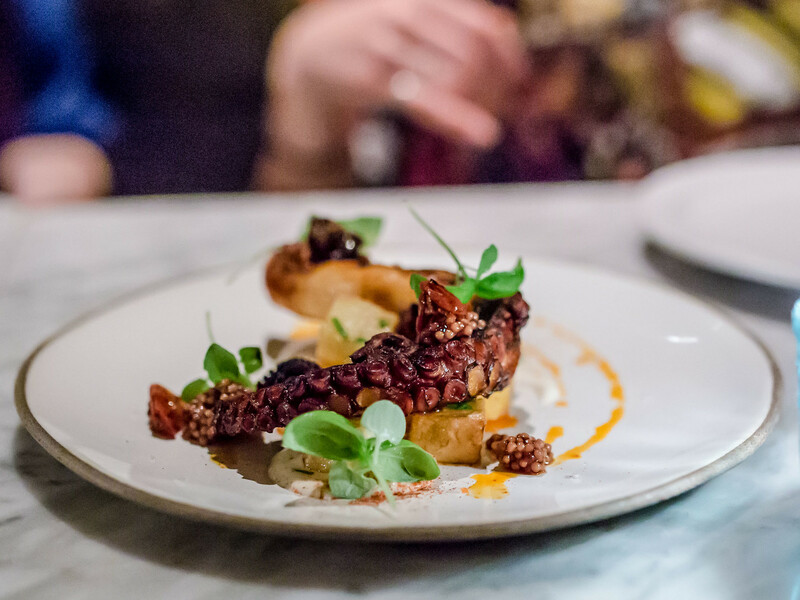 For appetizers, we narrowed the choices down to just the Pulpo, grilled Spanish octopus with potato, lemon and pickled mustard seeds. The single leg was incredibly tender, easy to chew, and flavourful. Compared to similar restaurants, the price of the plate for the portion size was comparable. Stand alone, relative to other items on the menu, this was pricey at $22. 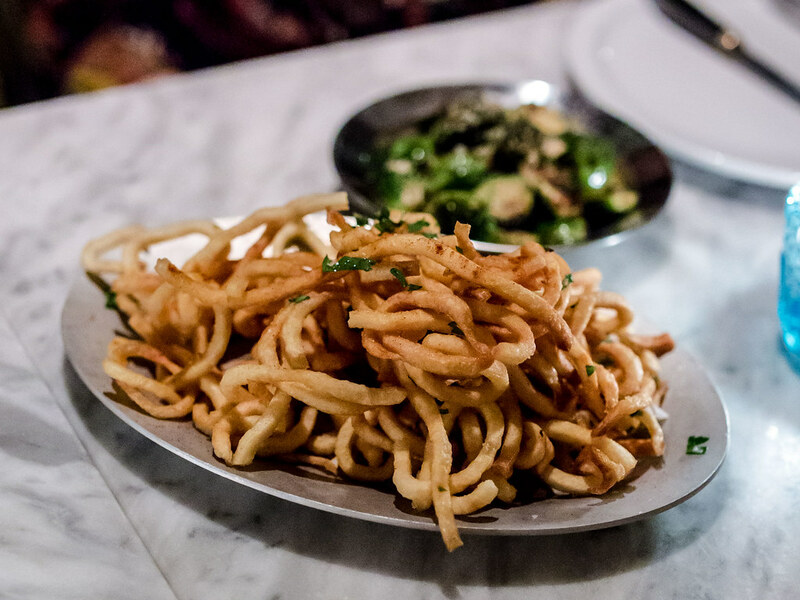 For sides, we chose Brussel Sprouts and Crispy Potato Strings. While the brussels sprouts were good, the potato strings were spectacular. There were essentially perfectly crispy, extra long fries seasoned with fresh herbs (and maybe butter?). We easily polished off the entire plate. 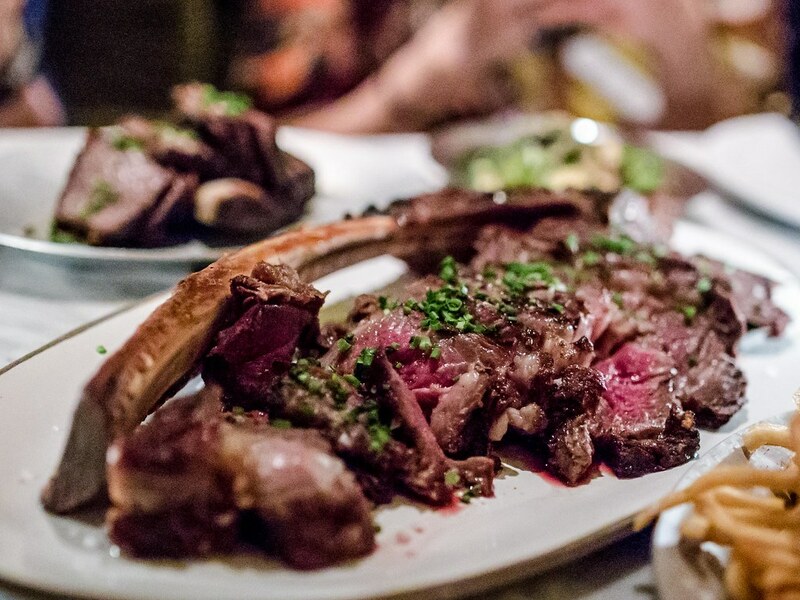 Our two mains were the Fire Roasted Beef Short Rib and the Tomahawk. Three condiments were served alongside, a housemade chimichurri, pasilla chili and tomato salsa. Mixing a bit of all three made a perfect sauce for the beef and could be tweaked as I ate. We needed a few refills on the chimichurri, which has become my go-to sauce for steak recently. The acidity was a perfect contrast to the fatty, rich, ribeye. This was one of the best steaks I’ve had in the city. I loved that everything from the charred bone to rendered gristle was served. Our table enjoyed every last bite and The Hubs cleaned up the bone. The main part of the ribeye was a pink medium rare, juicy and mouth watering. 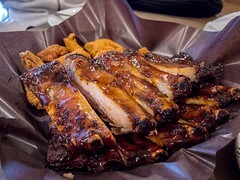 There was an excellent char on the outside that locked all of the flavour in. 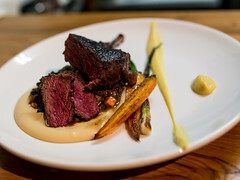 The short rib was buttery soft and had a great smoke flavour. Overall, dinner at Branca was a great evening. Service was lovely and the menu would delight any true carnivore. The fries were also a must order, if you’re not convinced by me, how amazing they smell on the way to tables around you will.